Posted February 10, 2015 by admin & filed under Uncategorized. 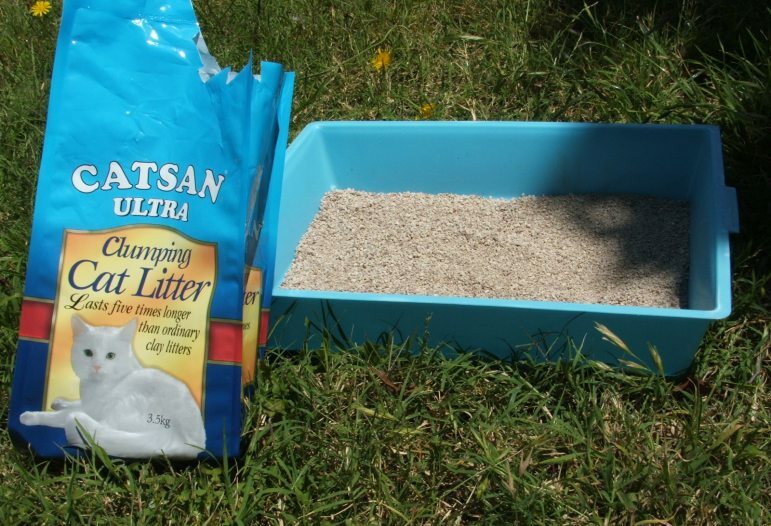 Here, we address three “myths” about cat litter to help you stay safe on slick winter roads in Grand Forks, ND. Before you find yourself stuck (without cat litter), make sure your car can handle winter conditions – call our team at 701-746-6790. 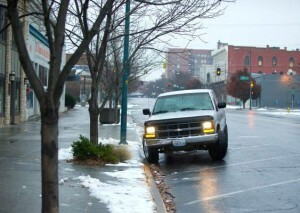 Drive safely on the winter roads across Grand Forks this season. Don’t forget to pick up some cat litter for your winter auto emergency kit – store a bag in your trunk for weigh and traction on slick roads. 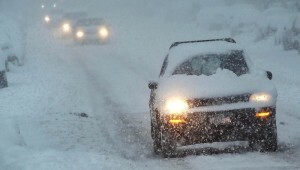 To make sure your vehicle is prepared for winter road conditions, schedule an appointment or call 701-746-6790. Posted January 14, 2015 by admin & filed under Uncategorized. Winter roads are slick in Grand Forks, and across North Dakota. As you drive along snowy, icy roads this winter, use extra caution to remain in control of your vehicle to avoid slides and skids. At Golden Rule Automotive, we’ve seen many of our customers’ vehicles suffer damage from sliding into a curb on slick winter roads. 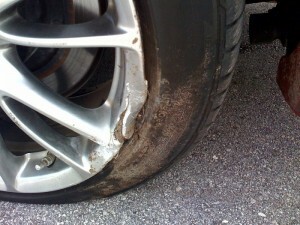 Even though this seems like a small mistake, hitting a curb can have major impacts on your car. Don’t ignore it! Stop by our auto shop to have an inspection before small damage causes big problems. Call us at (701) 746-6790 to schedule an appointment. If you hit a curb, call us at (701) 746-6790 to schedule an inspection as soon as possible. Our certified technicians will make sure your vehicle can keep you safely on the road, without risking extensive damage and costly future repairs. An alignment check is a small expense, but can save your vehicle many miles and dollars from costly issues. If an adjustment is needed, this inspection can save many miles on your tires, and help you get more miles out of every dollar if other issues are found (by catching and fixing small problems before they lead to extensive damage and costly repairs). But more importantly, a check will provide peace of mind that you and your family will stay safe while driving, especially as it gets really cold in North Dakota. Stay safe and warm this week (and all winter) in Grand Forks. To prepare your vehicle for cold weather, stop by Golden Rule Automotive for an inspection: (701) 746-6790.